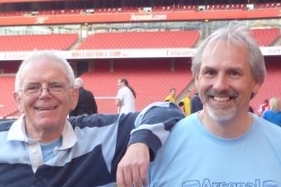 As you might expect, the Arsenal History Society site has a mass of articles about the great man – and we ourselves have done a little somethng to help commemorate Mr Chapman, for it was at a meeting between AISA Arsental History Society and Ivan Gazidis, the CEO of Arsenal, that the idea of a Chapman statue at the Emirates was first discussed. From Knighton to Chapman – did Henry Norris really change the club rules to accommodate a new manager – or was that just a Knighton fantasy? Arsenal smash the world transfer record – but did Herbert Chapman REALLY hustle the Bolton directors?